Naruto is Japanese series which tells the story of a ninja who continuously seeks ways to achieve his dreams and be Hokage. Naruto is manga series which was published in the year 1997. In this series, Naruto is portrayed as a symbol of a strong leader that has the power to solve great issues. 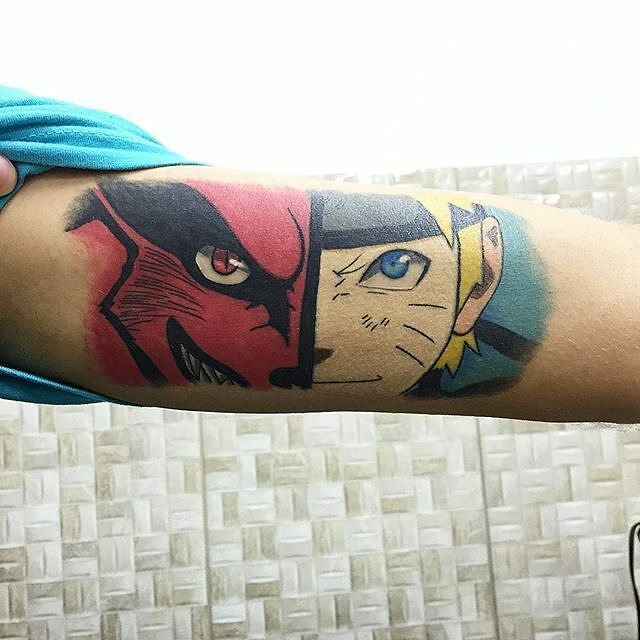 Naruto tattoo is highly popular among the fans which are usually millennials. These series was one of the biggest hits of its time and the symbols are used in tattoos by the men and women across the globe. 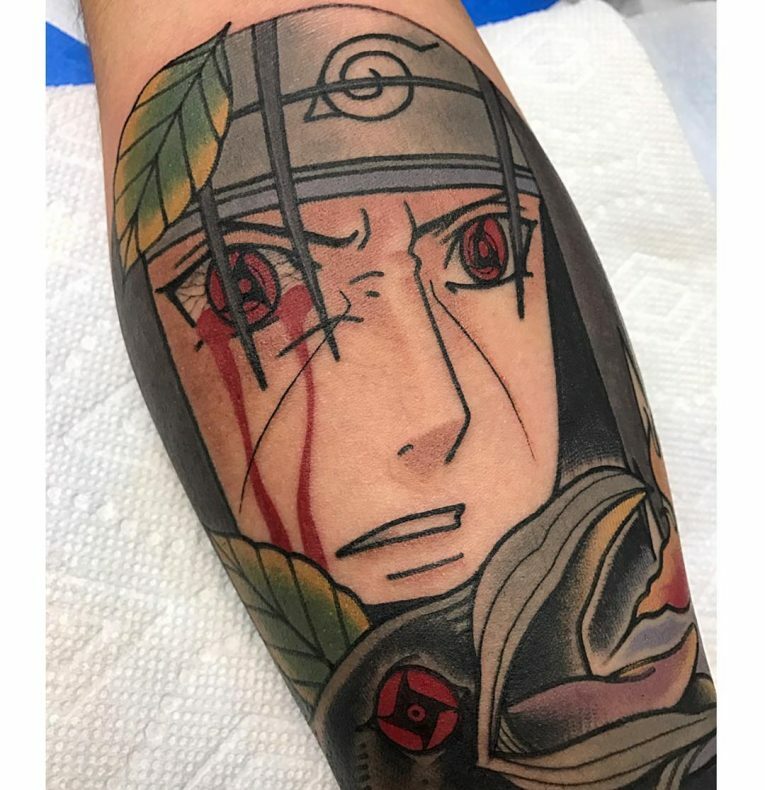 The history of Naruto tattoos is associated with clans which literally mean family circle. The word clan depicts the families that used to reside within the vicinity of shinobi village. In addition to this, most of the clans were the elements of the military forces. Moreover, in the shinobi village there were only two types of clans which include Senju and Uchiha. The decisions of staying at the single place were carried forward with the help of the contract named Diamyo. Most of the clans followed the footprints of these pioneer families. In addition to this, a person could be the member of the clan only if he or she possesses blood relations. This is because of the reason that the clans’ members are not allowed to teach all these secret techniques to people that are strangers. The clans are categorized into four types which include Minamoto clan which is also termed as Genji that encompasses of approximately twenty-one branches of Imperial House of Japan. In addition to this, the Taira clan is considered as the second noble clan that is also famous with the name of Heishi and it has four branches in the Imperial House of Japan. The Fujiwara clan and Tachibana clan are the remaining two noble clans. 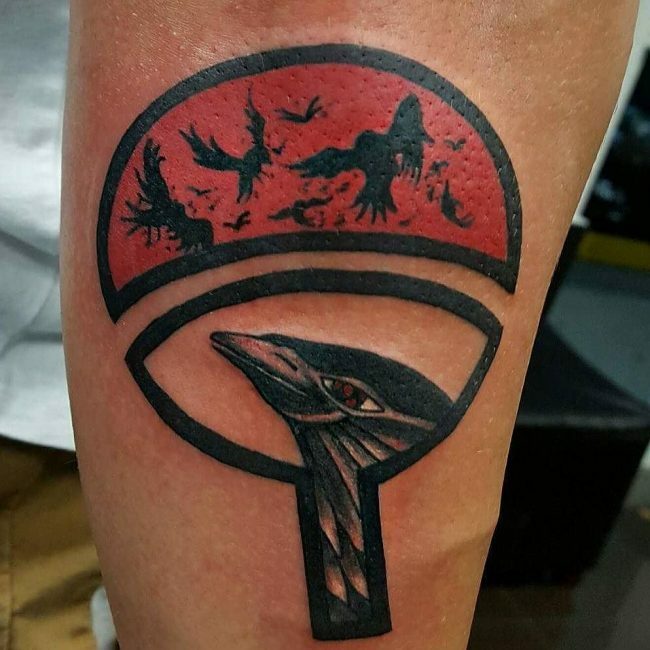 Each clan possesses special symbol that works as an identity for the family. This symbol denotes the characteristics and features possessed by the members of the particular clan. Moreover, every clan has distinct capabilities and power that helps them to segregate themselves from the ordinary people. For example, the members of Akimichi Clan serve to the insects of a special sort as a nest, living in the skin of the host. Thus, the members of this clan have the competence to fight by the virtue of the insect weapons against the enemies. Therefore, in this manner, every clan is unique and possesses their own special capabilities. As the time passed these clans became dormant and shrunk in the form of nuclear families because of which the legacy of these clans is stuck within the history books. However, the symbols used by them in order to communicate and to demonstrate their values and morals are still acknowledged by the modern society. Therefore, the discussion upon the meanings of the Naruto tattoos has been demonstrated below. Every symbol in Naruto has a special meaning which makes it more meaningful for the people that opt for the tattoo. The symbol of Sasuke demonstrates cursed seal of heaven; however, in the Japanese language, it is termed as tomoe. The symbol is shaped as swirl that resonates with the comma. 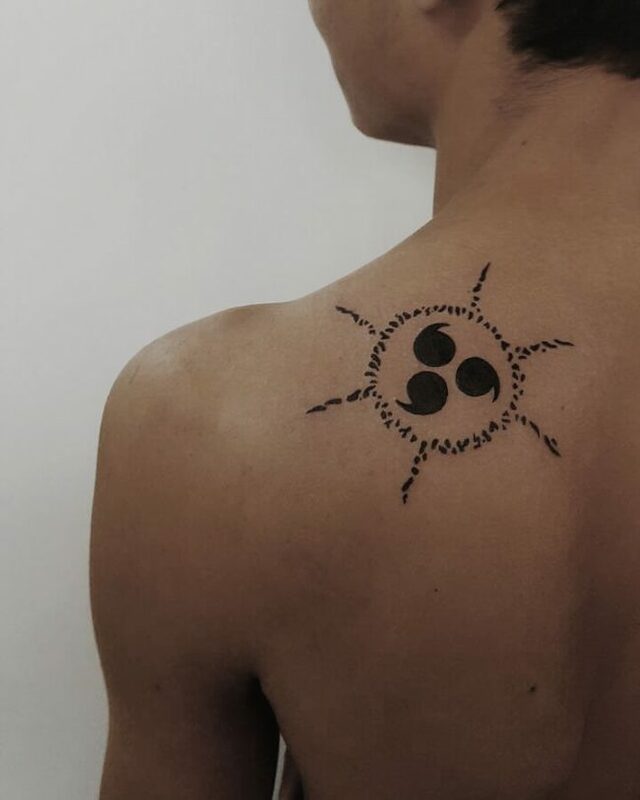 This swirl shaped symbol represents the cycle of life, so if you see someone having Sasuke it means they believe in the continuity of life. 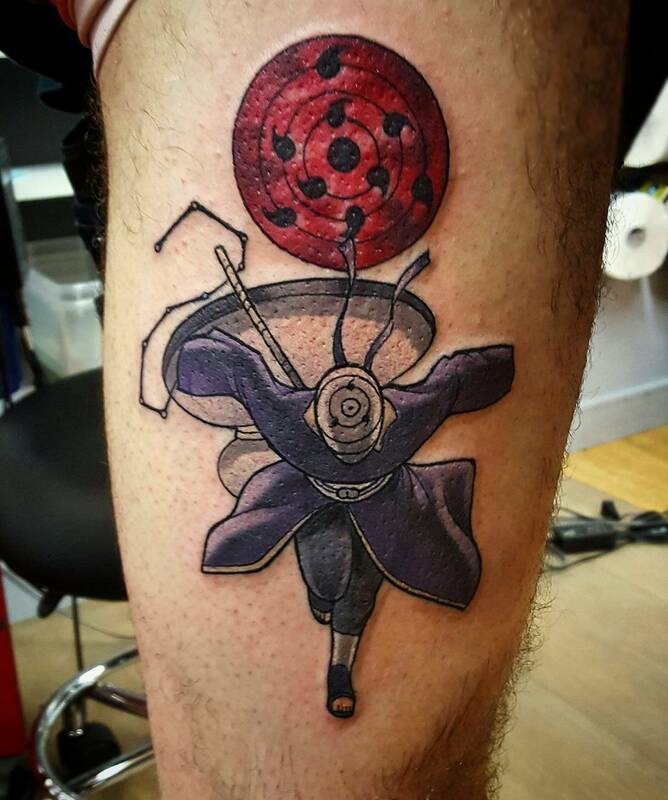 The tattoo of ANBU means the extensive control of one’s individual. However, males usually have this tattoo on their shoulders. Men alco could have it on the right hand. Through this tattoo, an individual represents himself as a calm person that do not go with the flow of his or her emotions. ANBU is an acronym of four letters that are Ansatsu Senjutsu Tokushu Butai which is the name of the ninja organization. Another symbol that is also one of the favorites among the Naruto fans is the sign of Uchiha which means flames; however, the literal meaning of Uchiha is a paper fan. People usually like to get this symbol tattooed because it represents the ability to conquer the destructive things such as fire. In addition to this, the symbol of Akatsuki Clouds demonstrates the secret organization that is famous for being dressed in the black cloaks accompanied by the red patterns. People rarely use this symbol as it only represents a suspicious image in front of the society. Furthermore, the Shoku symbol in Naruto culture means food. 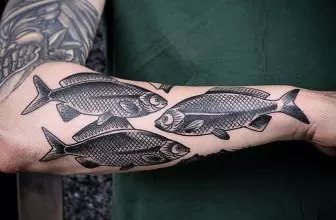 People who choose this symbol as the tattoo are considered as individuals who love food and like to intake high-calorie diet. The Hyuuga Hinata Jacket Symbol demonstrates the sign of the bright place which is often tattooed on the upper side of the left or right arm. People who opt for this symbol represent themselves as a positive personality holders that have the ability to brighten the lives of other people that are associated with them. Jiraiya’s Toads’ Chuu Symbol is present on the necklace worn by the toad which signifies the sign of loyalty. People who ink this sign on their skin believe in the essence of friendship and usually are loyal to the close ones they really care for. 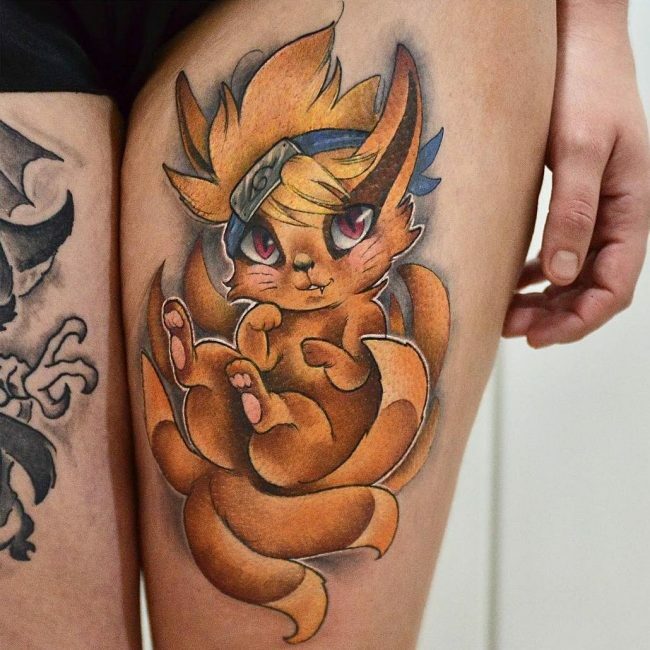 Thus, it has been signified that Naruto tattoos are more than just a design as it has a deep meaning which also demonstrates the personality of an individual in front of the world. Tattooing has an ancient history and has the ability to demonstrate the personality traits of an individual. As far as the Naruto tattoo designs are concerned, these are more than the illustration that is used for the body beautification but these are the possessors of an ideology. 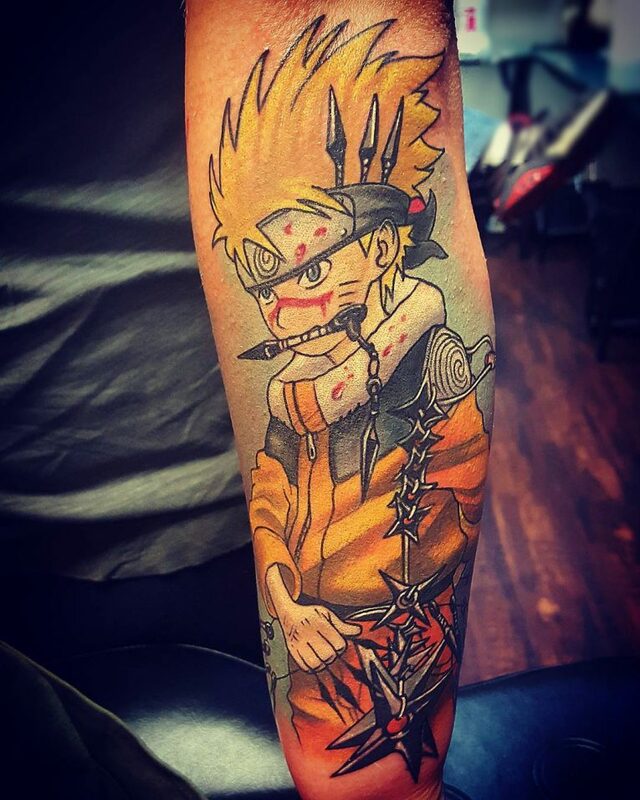 In addition to this, it has been signified that each Naruto tattoo design depicts a story which makes these illustrations unique and helps to stand out from the contemporary tattoo designs. 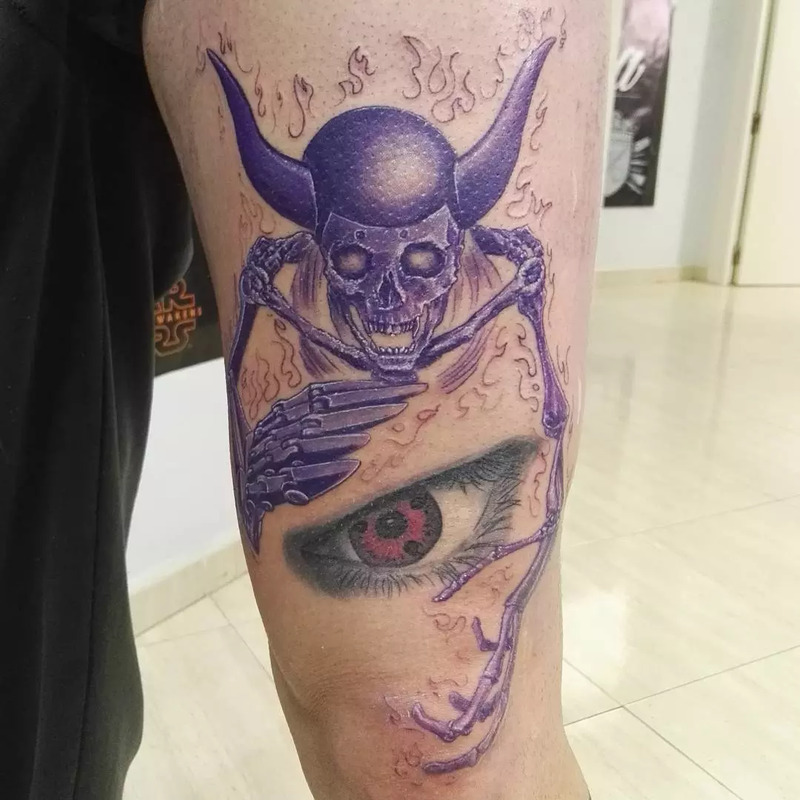 Moreover, the Naruto tattoos designs are also one of its kind as it permits a person to carry forward an individualistic and independent perspective of their personality in front of the society in which they reside in.